This was the first PC I have ever built. 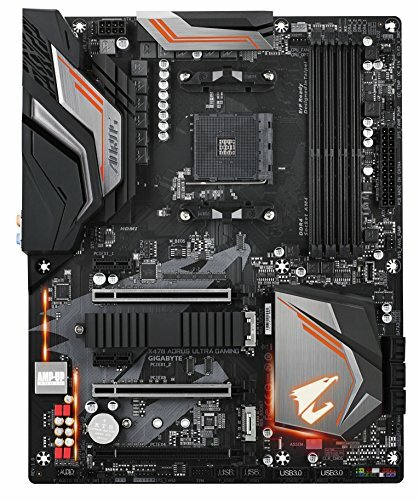 I wanted a pretty good gaming PC that had plenty of upgrade potential. I was pretty well educated on what I was doing when I built it, so I didn't run into any real issues that I just couldn't figure out. The cable management could be better, but for the most part I think it looks pretty good. There are a couple of things to not about it before I go on though: 1) The cooler I used was an UpHere 240mm aio cooler, but I couldn't find it in pcpartpicker so i chose the masterliquid as it was the same size and price. 2) I got all my my parts besides my monitor on Amazon, as it was the most convenient and the price difference, if there was one, was typically negligible. A number of prices seem to have gone up slightly since I bought everything. 3) I would have gotten a cheaper motherboard than the x470, but it was the only chipset guaranteed to work correctly with the CPU out of the box. 4) I paid a premium for an rx 580 over a gtx 1060 because I found the monitor for a great price on massdrop, and I really wanted to take advantage of FreeSync (totally worth it). It seems like the prices on stuff has gone up marginally since I bought these parts, so I believe I spent a fair amount less than you would be able to get it for now (tbh, I'm not entirely sure what the total was, but I think it cost me around a $100 less than what I can find on this site now). The monitor costed $380 on massdrop, which is $50 cheaper than I see it anywhere else. So far I'm really happy with everything, especially at the price I paid for it. I tried to make sure I got the cheapest stuff I could get without sacrificing too much quality or too many features, and I believe I did that fairly well. The only issues I had was actually with the cooler (go figure). First, I wasn't really sure how to mount it to the CPU. The instructions were virtually useless, so I was kind of on my own. It wasn't too hard to figure out after a few minutes, but I was hoping for some usefull instructions to guide me. The other problem I had was with mounting the radiator. The case is only said to support 120mm radiators, but a review on Tom's hardware of the case said 240mm rads would fit at the top or front of the case. That appears to be false, unless you have a super thin rad and fan setup. Eventually, I figured out that a fan would fit on the outside of the fan mounts on the front but inside the front cover, giving me room to put the rad at the front without the power supply shroud interfering. I left the top radiator fan on the inside though as that was the preferred position and it didn't look too awkward with the shroud covering part of the radiator. It did work out, but I was really worried I was going to be stuck with the stock cooler, at lest for a while. I did use the ml120 fans on the radiator, as they seem to produce a lot more pressure and airflow, and do so at lower noise levels, and I used the fans included with the cooler as top exhaust fans. 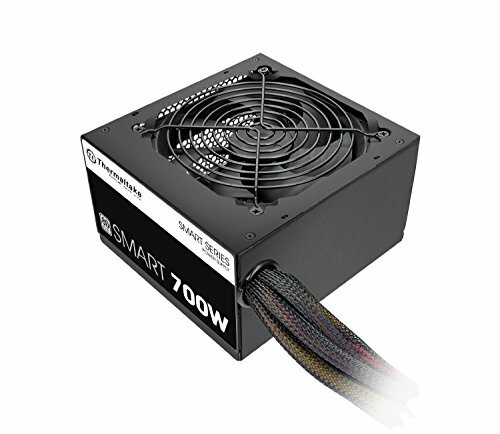 I chose the power supply because it had plenty of power, leaving room for future upgrades to more powerful cards, was very affordable, and I had read that that series was great for an affordable supply. The lack of modularity wasn't an issue thanks to the power supply shroud giving me room to tuck the extra cables into. I haven't pushed my overclocks or checked temperatures thoroughly yet, but I did manage to get a stable 4ghz in a couple minutes and the temperature seems to top out in the mid 70's range. As far as GPU clocks and temps go, I haven't done anything with it yet, so that remains to be seen. It performs well though. 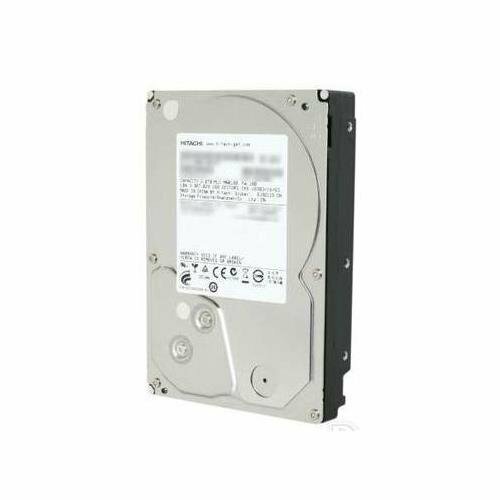 Overall, I wanted the best "bang for the buck" I could get, especially right now with the pricing PC parts seem to have. There were a few things that I focused on. I needed a relatively strong CPU, and it needed to be cooled well enough to get the most out of it. I chose the Ryzen 2600 for the price to performance value, so I spent a little more for 3000mhz ram to prevent any bottlenecking. I wanted a decent graphics card that will at least last me until AMD relases a new card. An AMD graphics card was important to me because I really wanted to make use of FreeSync. Put simply, I really focused on eliminating bottlenecks and getting the fastest and card I could afford, and I allowed myself to cheap out a little bit on everything else. It seems to have worked pretty well, and I am very happy with it. I just wanted to share it with the community and see what everyone else thinks. I only have 1 picture for now, and it's pretty crappy. I'll try and take some better ones when I get home. It's a $200 CPU that can break 1100 in cinebench with ease. I know that isn't the ultimate CPU bench, but it still gives you a pretty good idea of how it compares to other CPUs. It is also way easier to cool than current Intel CPUs. Overall, I am quite pleased. 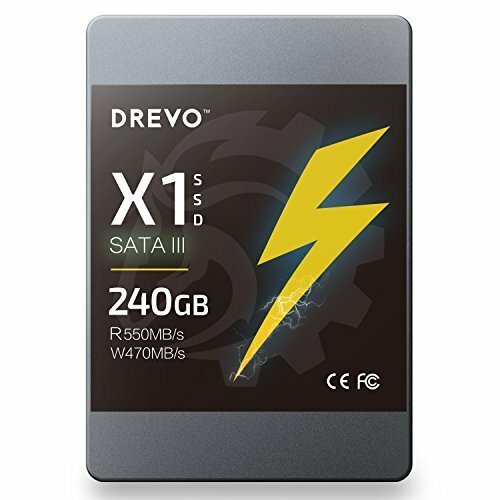 Priced fairly (at least compared to similar ram), and performance well. Used the xmp profile on an x470 board, and all is good. Easy, trouble free, no complaints here. A good budget case. One thing I did not realize was that the only place for air to enter the front is the grill at the bottom, otherwise the front cover is pretty much sealed. I haven't noticed any lack of airflow with 2 fans in the front, but I don't want anyone to be surprised like I was. Also, it says it only supports a 120mm radiator, but that's not entirely true. I highly doubt you will get one in the top, but a 240mm (aio thickness) will fit up front if you are willing to mount at least the bottom fan on the outside of the fan mounts under the front cover. Also, there didn't appear to be a place to run the CPU power cable at the top rear, so I ended up running it from the front cable hole almost across the motherboatd. Overall, cable management is not particularly great, but that was the biggest issue. Otherwise a great budget case. It looks good, has plenty of fan mounts, a power supply shroud, and magnetic dust filters all for $50. 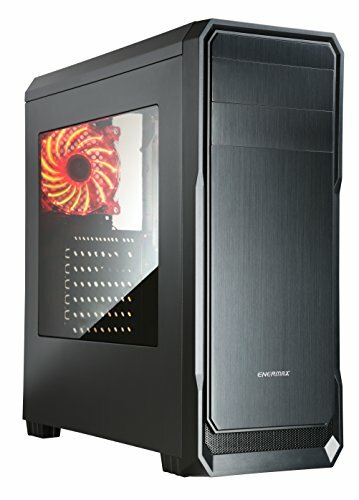 I would like to mod it to run the CPU power cable better, and maybe figure out a way to improve front ventilation, and then it would be great. If you want to save a little money for better components (like I did), I think this is a good way to go. Cheap, solid antennas (thank you! ), and pretty great performance so far. Seems like a no brainier to me. 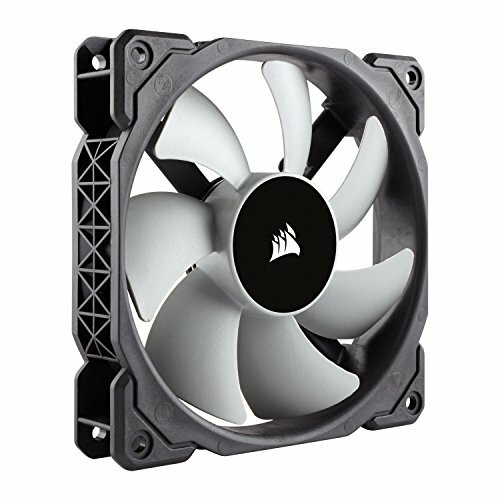 Pretty loud on stock fan curves, but they move tons of air! After slowing them down a little, they are quiet and still move plenty of air through a radiator. Definitely premium fans, but personally I think they are worth it. Better fans give better cooling with less noise. If you care about performance, they are not something to skimp on. I think these are a great choice. I am a huge fan. 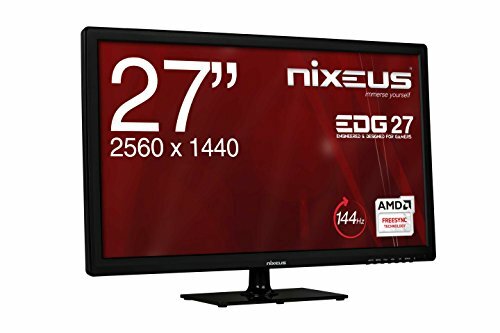 The screen is big at 27", and it is gorgeous with it's high resolution and great colors and viewing angles, the high refresh rate is awesome, and so is the almost unheard of FreeSync range of 30-144 hz. And you get all of this for under $430 (or even lower if you get lucky). The only issue I can see anyone having is that the styling is pretty bland, and that the bezels are a little big for multi-monitors. I highly doubt these will be huge turnoffs for anyone, but it's something to be aware of. Overall though, I could not be happier with it. Your power supply makes me cringe, other than that, good build. Lol, yeah, I figured at least someone would feel that way. As long as it is reliable it doesn't bother me though. I typically seem to be pretty good at cheaping out a little on stuff without going too far. Hopefully the same proves to be the case here. Id advise replacing it soon. That PSU isn't exactly the most reliable unit. I've read reviews saying it's failed in under 2 months. I'd hate to see such a nice pc be taken out by some bullcrap psu. I haven't had any issues with it. I don't really have anything special to say about it though. I'm pleased with it. It seems to do fine to me. FreeSync on this monitor has a great range, and it really does help (for example, Arma 3 at absolute max, including view distances, was entirely playbale at 1440p. I was surprised by that.). Also, framerates aren't as bad as you seem to think, especially not at the settings I use. I usually turn down the most demanding settings a notch, since they also seem to have the smallest visual bennefits too. I'm happy with it. Also, if it ever becomes a problem, 1080p is always an option. brgolf this build is fine for 1440p, good parts choice btw!